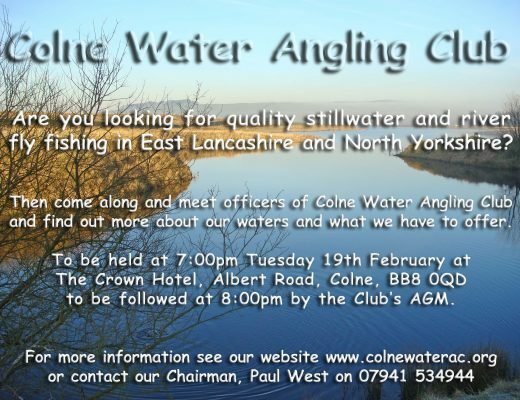 Colne Water Angling Club was formed in 1952 in the town of Colne in Lancashire, when a handful of Colne Anglers took the fishing rights on the river Colne Water from the Colne Corporation Council. Colne Water is formed by numerous small rivers coming off the moors that surround the town. The river holds a good stock of Brown Trout and the wildlife that surrounds parts of the river is outstanding, the river also flows through the town, in part. The river can be fished by fly and worm and can produce some tremendous sporting days. 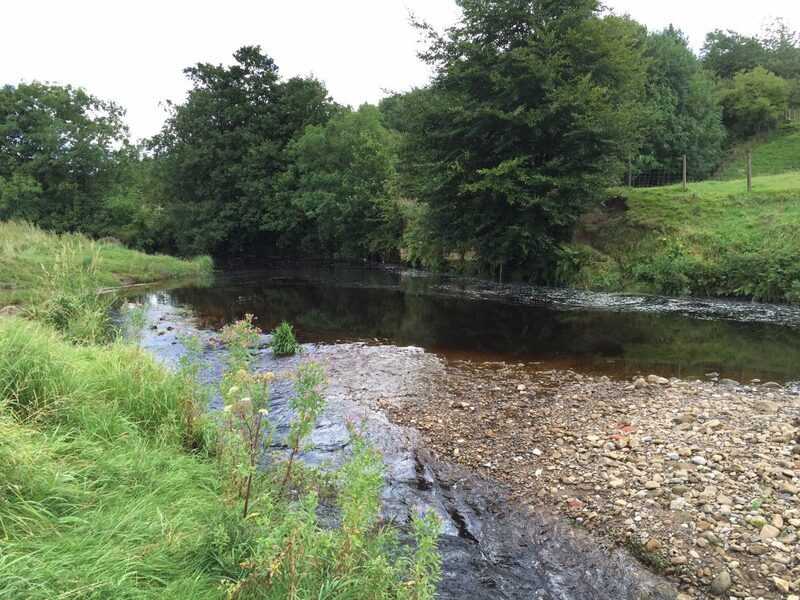 We have now obtained a 50 year lease on this water, and we are working with the Wild Trout Trust, to improve the habitat of Colne Water. The WTT have set up an initiative called the ‘Trout in the Town’ project, and are using Colne Water as a flagship scheme. The Club made further addition to its sporting activities when the members secured the Lease of Laneshaw Reservoir. The reservoir is located on Reedshaw Moss on the Colne to Keighley Road; high on the moor and is surrounded by beautiful views across the Borough of Pendle, to Pendle Hill in the West. The reservoir is a peaty water of approximately 16 acres in size and offers fishing all the way around. The banks and the dam wall that surround the water offer the angler very good accessibility. There is a borehole of a more PH balanced water fed in at the neck end, the reservoir holds an amazing variety of fly life and can, dependent on her ever changing moods, be one of the most frustratingly challenging waters to fish or an absolute anglers paradise with fish chasing every fly you drop on the water. There is a regular stocking program throughout the season of mainly Rainbow Trout with a lesser amount of Brown Trout. The Club grew in stature and membership numbers increased, so the members sought and acquired Churn Clough reservoir at Sabden in 2001. This reservoir is again approximately 16 acres in size and nestles on the slopes of Pendle Hill between Sabden and Clitheroe. Again like Laneshaw the views and wildlife that surround the water are outstanding, when you are fishing the water you could imagine that you were in the Highlands of Scotland. Churn Clough is the opposite of Laneshaw’s peaty water with water that is gin clear. There is a very abundant fly life which also includes, around June, a superb Mayfly hatch, Caddis are also present in large numbers and as one can imagine the fish gorge themselves on these fly and put weight on very quickly. Again there is a regular stocking program throughout the season with fish for all of the Clubs stockings coming from the famous Dunsop Bridge Trout Farm. The dam wall is not really fishable at Churn Clough as it drops very steeply into the water, however the back side of the water has flat banks that offer very easy access and casting is easy over deep shelving drop offs. There are a limited number of Day Tickets available for Colne Water, Churn Clough and Laneshaw Reservoirs. Members are allowed to take a maximum of four fish per week, but we do encourage catch and release on all our waters. Again for this season is a rod share arrangement with Bradford City AA. Our Members also have access to a lovely stretch of the Ribble, thanks to a rod share arrangement. This water is well stocked with brown trout and grayling. The Club has a membership limit of 120, plus honorary life members. All Full and Senior members receive 2 free Guest Tickets (value £50) for the stillwaters. Further Guest Tickets for Churn Clough and Laneshaw reservoirs can be purchased by members from our Day Ticket Outlets at a 50% discount. Full and Senior Members are able to take a junior angler under the age of 14 fishing free of charge, sharing the adult’s bag limit. But please remember that a Rod License is required for juniors aged 12 and over.